Legend has it that if you don't wear green on St. Patty's Day, a leprechaun will pop out and pinch you! 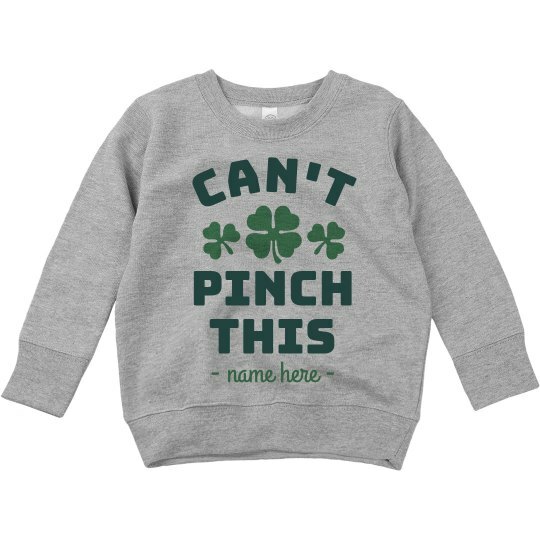 Make sure your little tot is pinch-proof by snagging them this funny pullover sweatshirt that has green shamrocks and text. Customize this festive sweater with a line of personalized text to keep your little guy or gal safe from those sneaky leprechauns.